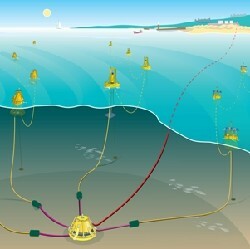 Oyster nearshore wave energy technology from Aquamarine Power is in the process of being placed on the seabed in the Atlantic off the coast of the Orkney Islands, Scotland for trials in autumn 2009. The Oyster is based on a large, hydraulic oscillator fitted with pistons and activated by waves. The oscillation pumps pressurized water through a pipeline to the shore. 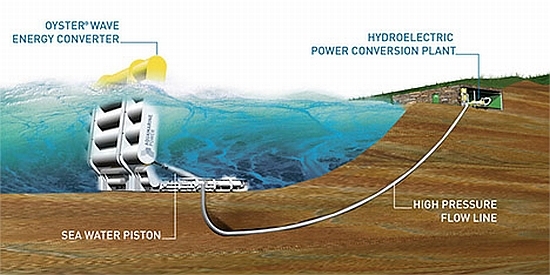 Onshore, conventional hydro-electric generators convert the high-pressure water into electricity. The concept is based on research from Queen’s University in Belfast. “Oyster’s technology is highly innovative because it relies on simplicity,” says Ronan Doherty, CTO at Aquamarine Power. 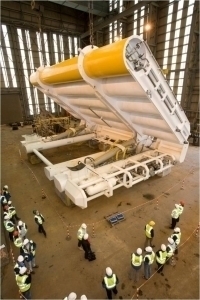 “Its offshore component – a highly reliable flap with minimal submerged moving parts – is the key to its success when operating in seas vulnerable to bad weather where maintenance can be very difficult.” Doherty adds that as there is no underwater generator, electronics or gearbox and all the power generation equipment in onshore, where it is easily accessible. Oyster technology is best deployed in near-shore regions at depths of 26-52 feet, where wave action tends to be more consistent and less variable in direction. The smaller size of waves near the shore also maximizes the lifetime of the device and the consistency of power generation. Each Oyster has a peak capacity of 300-600 kW but is designed to be deployed in multiple arrays. The second is funding. Hydropower was heavily subsidized during the Great Depression, but little public investment has since been steered toward marine renewables with the exception of ocean thermal technologies, which were perceived to be a failure. The third reason why the ocean has not yet been industrialized on behalf of energy production is that the technologies, materials and construction techniques did not exist until now to harness this renewable energy resource in any meaningful and cost effective way. Literally hundreds of technology designs from more than 100 firms are competing for attention as they push a variety emerging ocean renewable options. Most are smaller upstart firms, but a few larger players – Scottish Power, Lockheed Martin and Pacific Gas & Electric — are engaged and seeking new business opportunities in the marine renewables space. Oil companies Chevron, BP and Shell are also investing in the sector. In the U.S., the clear frontrunner among device developers is Ocean Power Technologies (OPT). 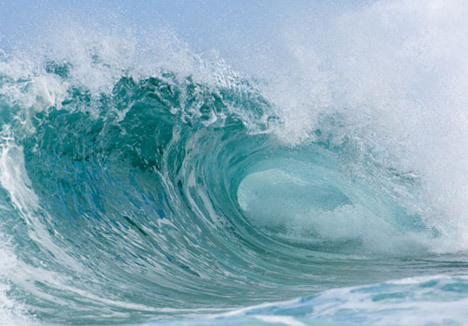 It was the first wave power company to issue successful IPOs through the London Stock Exchange’s AIM market for approximately $40 million and then another on the U.S. Stock Exchange in 2007 for $100 million. OPT has a long list of projects in the pipeline, including the first “commercial” installation in the U.S. in Reedsport, Oregon in 2010, which could lead to the first 50 MW wave farm in the U.S. A nearby site in Coos Bay, Oregon represents another potential 100 MW deployment. While the total installed capacity of emerging “second generation” marine hydrokinetic resources – a category that includes wave, tidal stream, ocean current, ocean thermal and river hydrokinetic resources – was less than 10 MW at the end of 2008, a recent surge in interest in these new renewable options has generated a buzz, particularly in the United Kingdom, Ireland, the United States, Portugal, South Korea, Australia, New Zealand and Japan, among other countries. It is expected that within the next five to eight years, these emerging technologies will become commercialized to the point that they can begin competing for a share of the burgeoning market for carbon-free and non-polluting renewable resources. 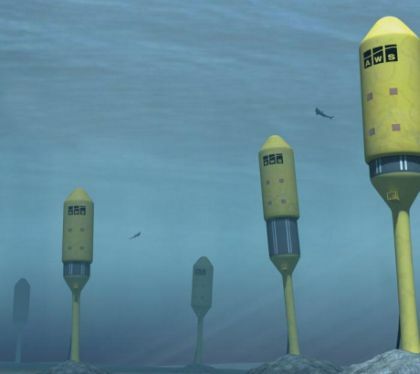 Tidal stream turbines often look suspiciously like wind turbines placed underwater. Tidal projects comprise over 90 percent of today’s marine kinetic capacity totals, but the vast majority of this installed capacity relies upon first generation “barrage” systems still relying upon storage dams. 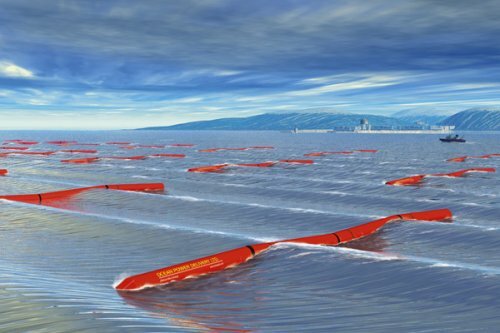 Wave energy technologies more often look more like metal snakes that can span nearly 500 feet, floating on the ocean’s surface horizontally, or generators that stand erect vertically akin to a buoy. Any western coastline in the world has wave energy potential. River hydrokinetic technologies are also quite similar to tidal technologies, relying on the kinetic energy of moving water, which can be enhanced by tidal flows, particularly at the mouth of a river way interacting with a sea and/or ocean. Ocean current technologies are similar to tidal energy technologies, only they can tap into deeper ocean currents that are located offshore. Less developed than either tidal or wave energy, ocean current technologies, nevertheless, are attracting more attention since the resource is 24/7. Ocean thermal energy technologies take a very different approach to generating electricity, capturing energy from the differences in temperature between the ocean surface and lower depths, and can also deliver power 24/7. While there is a common perception that the U.S. and much of the industrialized world has tapped out its hydropower resources, the Electric Power Research Institute (EPRI) disputes this claim. According to its assessment, the U.S. has the water resources to generate from 85,000 to 95,000 more megawatts (MW) from this non-carbon energy source, with 23,000 MW available by 2025. Included in this water power assessment are new emerging marine kinetic technologies. In fact, according to EPRI, ocean energy and hydrokinetic sources (which includes river hydrokinetic technologies) will nearly match conventional new hydropower at existing sites in new capacity additions in the U.S. between 2010 and 2025. The UN projects that the total “technically exploitable” potential for waterpower (including marine renewables) is 15 trillion kilowatt-hours, equal to half of the projected global electricity use in the year 2030. Of this vast resource potential, roughly 15% has been developed so far. The UN and World Energy Council projects 250 GW of hydropower will be developed by 2030. If marine renewables capture just 10% of this forecasted hydropower capacity, that figure represents 25 GW, a figure Pike Research believes is a valid possibility and the likely floor on market scope. The demand for energy worldwide will continue to grow at a dramatic clip between 2009 and 2025, with renewable energy sources overtaking natural gas as the second largest source behind coal by 2015 (IEA, 2008). By 2015, the marine renewable market share of this renewable energy growth will still be all but invisible as far as the IEA statistics are concerned, but development up to that point in time will determine whether these sources will contribute any substantial capacity by 2025. By 2015, Pike Research shows a potential of over 22 GW of all five technologies profiled in this report could come on-line. Two of the largest projects – a 14 GW tidal barrage in the U.K. and a 2.2 GW tidal fence in the Philippines — may never materialize, and/or will not likely be on-line by that date, leaving a net potential of more than 14 GW. By 2025, at least 25 GW of total marine renewables will be developed globally. If effective carbon regulations in the U.S. are in place by 2010, and marine renewable targets established by various European governments are met, marine renewables and river hydrokinetic technologies could provide as much as 200 GW by 2025: 115 GW wave; 57 GW tidal stream; 20 GW tidal barrage; 4 GW ocean current; 3 GW river hydrokinetic; 1 GW OTEC. About the author: Peter Asmus is an industry analyst with Pike Research and has been covering the energy sector for 20 years. His recent report on the ocean energy sector for Pike Research is now available, and more information can be found at http://www.pikeresearch.com. His new book, Introduction to Energy in California, is now available from the University of California Press (www.peterasmus.com).